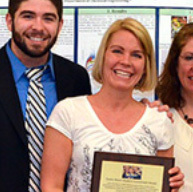 June, 2013—For 13 years, anytime students had a question about undergraduate requirements in the Department of Biomedical Engineering, they would talk to Dottie Welch. Transferring credits? Students would have the form signed by Dottie Welch. And those red forms listing the classes they just pre-registered for? Students would turn those in to Dottie Welch, as well. And when stress got them down, or they doubted their ability to keep up with their course load, well, students could go to Dottie for encouragement and advice as well. Ever since there's been a Department of Biomedical Engineering, Dottie Welch has been the "go to" person for a steadily growing number of undergraduate students regarding everything that pertains to their academic lives. With her retirement as BME's undergraduate coordinator on July 31, that is no longer the case. However, the Hajim School wants to be sure her legacy and commitment live on long after her retirement. 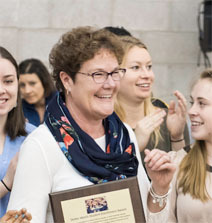 Beginning this year, the Hajim School will present an annual Dottie Welch Student Enrichment Award to a Hajim staff member "whose performance and dedication enriches the student experience in the tradition exemplified by Dottie Welch." Welch's retirement "is a milestone in the history of our program," says department chair Richard Waugh. "Dottie has played a huge role in bringing us to where we are today." 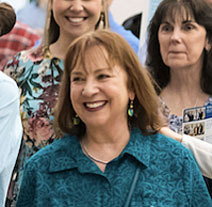 Welch began working at the University 26 years ago in electrical and computer engineering. She moved to BME 13 years ago when Waugh was putting together the new department. BME graduated 10 students that first year. Now, BME's undergraduate enrollment is more than 300. Each one has had at least two emails a year from Welch, indicating the student's status, unmet requirements, and any problems or concerns. "It was important to them as well as to me," Welch says, "because if I listed something they didn't agree with or know about, we could work together to resolve it." Welch "was always two steps ahead of me in anticipating what students' needs would be and then carving time out of her own life to make it happen," Waugh said. The interaction with students by Welch and other BME staffers has paid off. As one PhD student acknowledged in his dissertation, "I could not have endured the stringent requirements of the undergraduate program and the confusing formalities of the graduate program without the help of our program coordinators, Dottie Welch and Donna Porcelli. Thank you for your constant encouragement and unsurpassed patience." The interaction with students -- watching them "grow so much from being freshmen to seniors" -- has been the most enjoyable part of her job, Welch says. It is especially rewarding to give encouragement to students who have been struggling, to urge them to stick with it, and then see them accomplish something they never thought possible, such as landing a good job. They return as alumni, and tell her about their families, their promotions, or how they went into industry for a while and then went back to grad school. "It's like watching your own children grow up," Welch said. "It makes you feel like a proud parent." 2014: Rachel Monfredo, lecturer and senior technical associate in chemical engineering. 2015: Jennifer Condit, undergraduate administrative assistant and director of study abroad in chemical engineering. 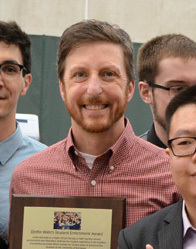 2016: Dan Smith, undergraduate program manager, Insitute of Optics. 2017: Cindy Fitzgerald, senior technical associate in the Department of Chemical Engineering. 2018: Taimi Marple, undergraduate coordinator in the Department of Biomedical Engineering.